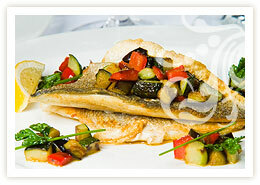 At Lyndhurst our standard of catering is not just excellent; we’ve won awards for it! From our award winning catering, to our wonderful and varied entertainment, Lyndhurst Residential Group Homes places a huge emphasis on putting our residents first. We are also proud to offer residents the services of visiting specialists that include chiropodists, opticians and audiologists. 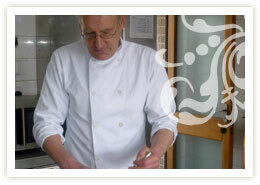 At Lyndhurst our standard of catering is excellent, with the chef providing meals which personal preferences. We are very proud to have been given 5 stars on the Brighton & Hove ‘Scores on the Doors’ scheme by the Chartered Institute of Environmental Health and our menu has been awarded a Healthy Choice award by the Brighton & Hove Council. All our meat is fresh and delivered from our butcher with twice weekly deliveries. 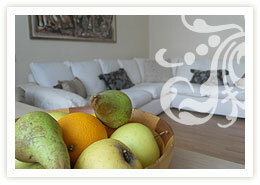 We also enjoy fresh fruit and vegetable delivered by our local provider three times per week. Our nutritious and varied menu has been awarded a Healthy Choice Gold Award. Our themed entertainment days give our chef an opportunity to show his skills – his famous Steak and Guinness Pie is a great tradition on St. Patrick’s Day or homemade Leek Soup on St. David’s Day are all part of our unique catering service. The home does not offer nursing care but it has an excellent relationship with our local doctors’ surgeries who provide a full range of medical, community nursing and other healthcare services for us. The practice is very welcoming of new residents from the home but, if they prefer, residents may remain with their own GP if they wish. Any visits by medical or healthcare staff can be in the privacy of the resident’s own room and the home benefits from regular visits by a chiropodist and an optician, although arrangements can be made for residents to visit their usual optician if appropriate. 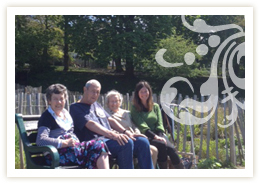 We now have a sensory garden and reminiscence room to stimulate and improve the well beings of own residents. Our care team also includes Dementia Champion, Activity Coordinator and Infection Control Champion. Activity helps build up the resident’s arm and leg muscles, while also helping our residents retain their co-ordination skills. An Annual expert Audiology service is provided by a local company who set up their testing equipment and provide a unique service within our home to offer hearing aids to our residents. Our visiting local chiropodist is a welcome professional who offers our residents six weekly full foot and nail specialist care service within our home. Annual eye tests are provided by a national company who set up their latest eye testing equipment and are able to diagnose any glaucoma or medical condition as well as checking any deterioration in residents’ vision. If our Optician recommends a new prescription, then the resident may choose from a wide range of glasses including a discreetly engraved frame for each pair. The home has weekly visits from a hairdresser and residents may make an appointment in the main office. Charges for this service are not included within the care home fees. Please note: Extra services such as visiting hairdressers, chiropodist and manicurist are charged separately and this information is available from the home. For prices, or to find our more about the above services, please contact us.